Hunnemannia fumariifolia is a perennial from the Mexican Highlands. I have found the Mexican Tulip Poppy to be a little inconsistent about returning subsequent seasons, but I like using it to spice up the first season of a drought tolerant garden because it is bright and showy and blooms for such a long time. The first flowers come on in the Spring and there is usually some color on it until the middle of Fall. Plant in full sun, if planting in heavy soil a slope and drying time between irrigation cycles is critical. 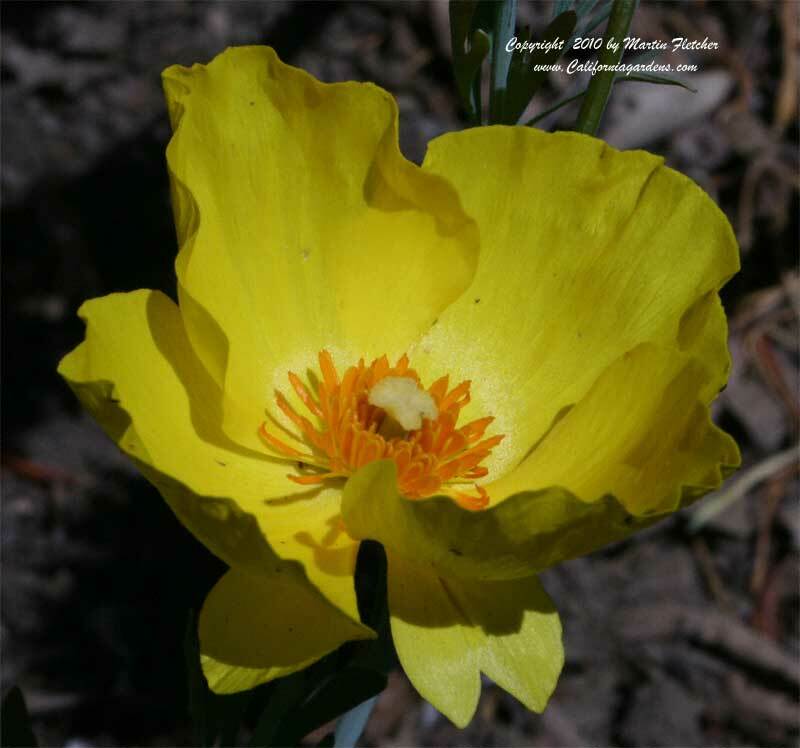 The Mexican Tulip Poppy does best in well drained soil. The pale gray foliage, with its finely dissected leaves is a standout. Mexican Tulip Poppies go dormant for the Winter, but can withstand temperatures into the mid teens. Yellow flowers of Hunnemannia fumariifolia - Mexican Tulip Poppy. High resolution photos are part of our garden image collection.